1. Peel off the white layer on the back of the ribs. 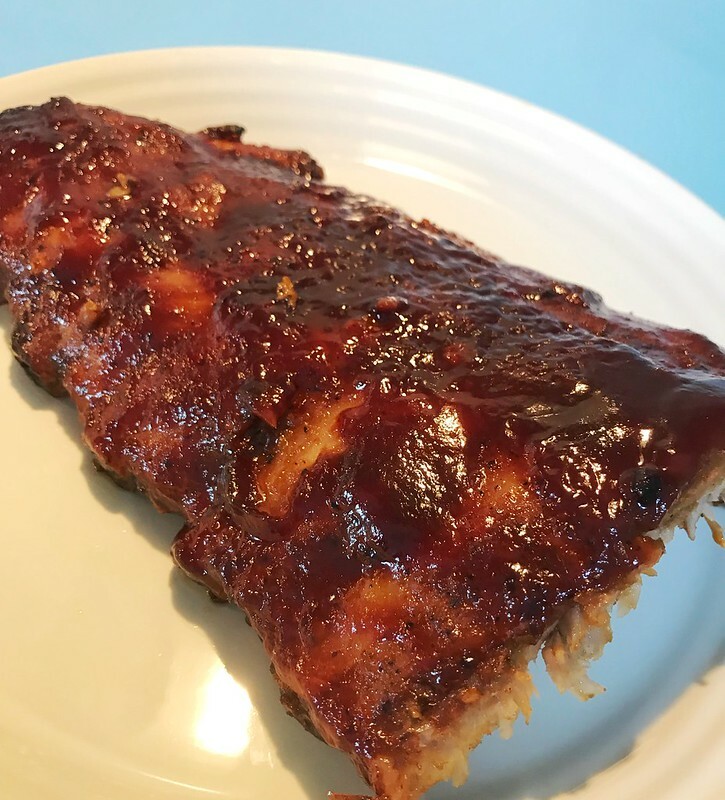 So that ribs can be better seasoned and cut. 2. Prepare the seasonings: 1 tablespoon black pepper, 1 tablespoon paprika powder, 1/2 tsp ginger powder, 4 cloves of minced garlic, 1 tablespoon sugar, 1/2 tablespoon salt. Mix them well. Then sprinkle them onto the ribs and rub with finger to help the flavor go in. 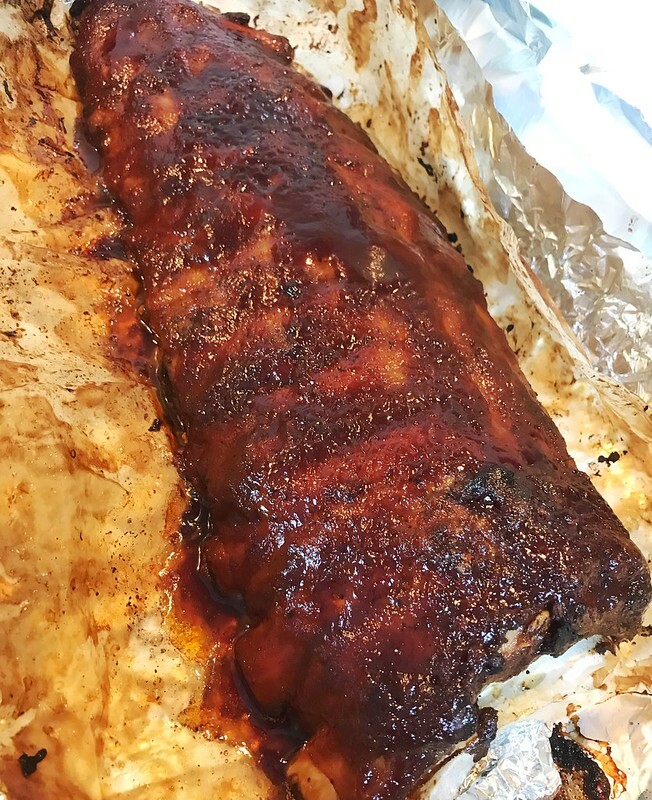 Wrap the ribs with plastic to put into fridge for 2-3 hrs or overnight. 3. 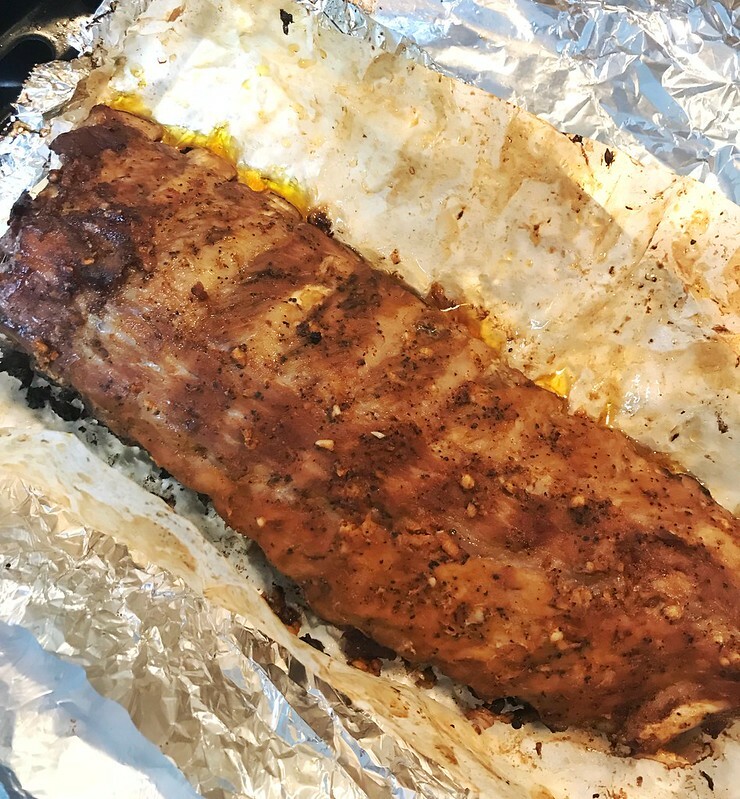 Wrap ribs with aluminum foil. Put into 140 degree C oven for 2 hrs. 4. Open the foil up. Turn to 200 degree C and bake for another 15 mins. 5. 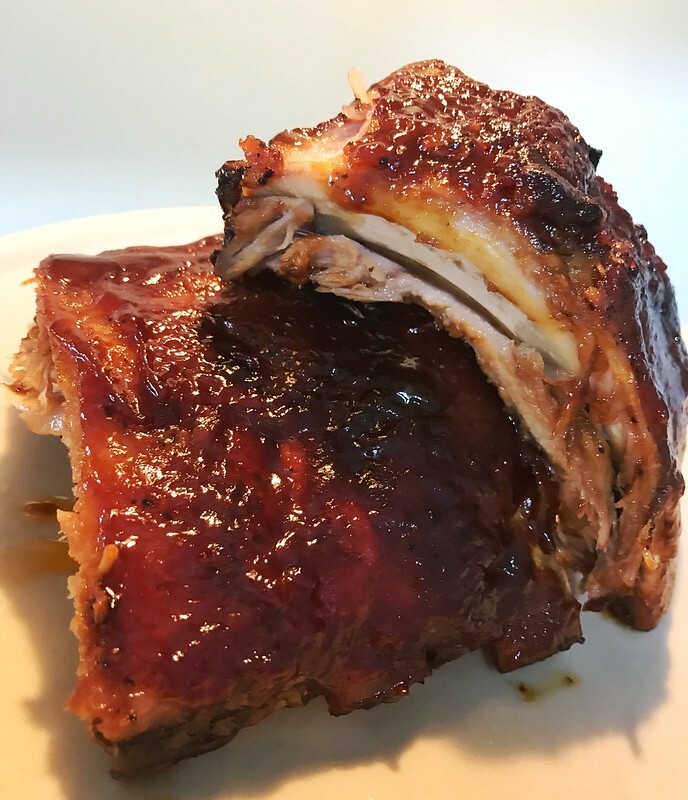 For the sauce: 1 tablespoon hoisin sauce (main sauce for char siew pork), 1 tablespoon tomato sauce, 1 tsp light salt sauce, 1/2 tablespoon sugar. Mix them well. And brush onto the ribs. You can use any sauce you want. There is some hoisin sauce left in my fridge, so I give it a try. 6. Into the 200 degree C oven for 15 mins. You don’t even cut the ribs with knife. It’s very easy to pull it off by hands. Very tender and juice.